Hello friends, if you were following lately, you know that a few weeks ago we launched PROJEKT M – we covered the outside wall and massive windows of a very special building in the Schoeneberg district of Berlin. We had a group of some of the best urban artists- from Berlin, Australia, the Netherlands and US join us and THIS is the result when artist collaborate in such an amazing way !!! Part 2 SOON!!! 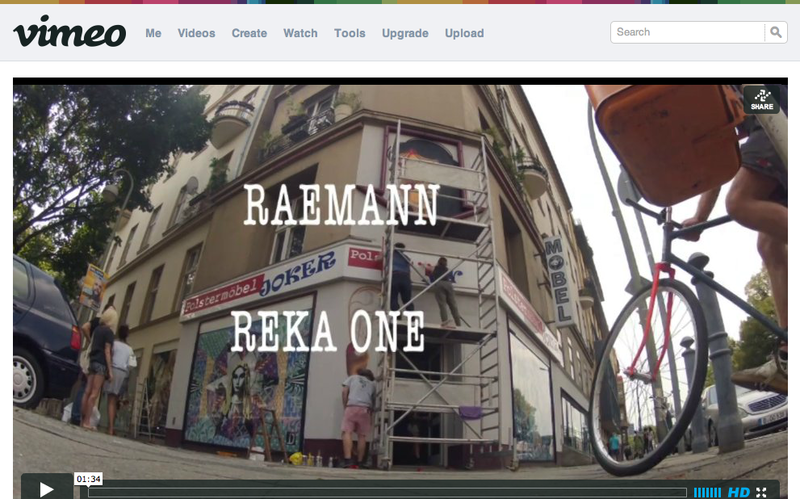 ‘PROJEKT M’ 10/08/2013 from Strychnin Berlin on Vimeo. This entry was posted on August 30, 2013 by strychnin in Projects, Updates and tagged deerBLN, ELLE, Faile, Mimi S, Projekt M, Reamann, Reka One, Sege Vaughn, SIT.